Model NO. : SSF102 Kind: General Use Group: All Source: Air Warranty: 18month Install Type: Ceiling Mounted Trademark: SINSUR Origin: Shandong Type: Medical Pendant Certification: CE, FDA, ISO13485 LCD Display: With LCD Display Anesthesia: Closed Circuit Color: Optional OEM Service: Available Transport Package: Standard Export Package HS Code: 94029000 One wet and dry ICU arm suspension bridge in the ICU (the separation of wet and dry), based on its functions to simplify configuration, both ends of the combined wet and dry, and its structure is simple and easy to use, save space for children in intensive care and small area of the Guardianship of the region, the emergency room. 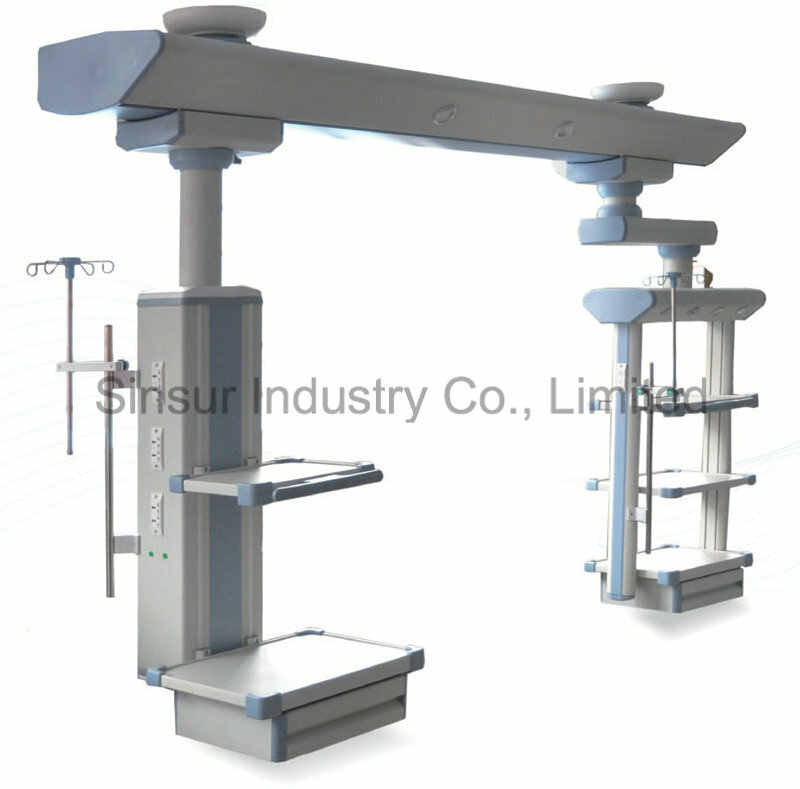 Contact us if you need more details on China Cost Wet/Dry ICU/Emergency Medical Pendants. We are ready to answer your questions on packaging, logistics, certification or any Other aspects about China Medica Pendant、China Medical Pendent. If these products fail to match your need, please contact us and we would like to provide relevant information.